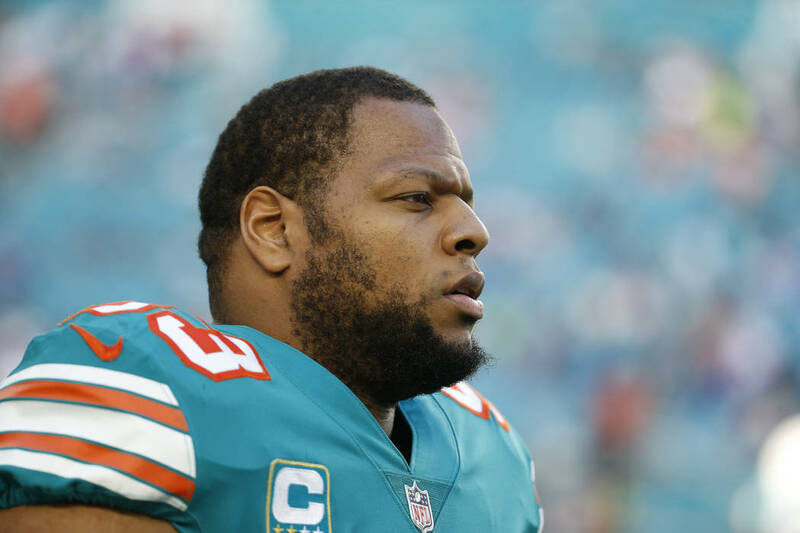 Suh was released by the Miami Dolphins earlier this month after three seasons when he declined to restructure his contract. LOS ANGELES — The Los Angeles Rams have agreed to a one-year contract with Ndamukong Suh, adding the dominant tackle to their defensive front alongside All-Pro Aaron Donald. The Rams announced the deal Monday. Suh was released by the Miami Dolphins earlier this month after three seasons when he declined to restructure his contract. He attracted widespread interest before agreeing to join the defending NFC West champion Rams. Suh was set to visit the Raiders last week, but later cancelled his trip. Suh is a five-time Pro Bowl selection during his eight-year career with Detroit and Miami. The Rams should have a fearsome front on defensive coordinator Wade Phillips’ 3-4 scheme. Suh and Michael Brockers are expected to start alongside Donald, the AP’s Defensive Player of the Year. Los Angeles is working on a contract extension for Donald.